“Business leaders are starting to grasp the huge potential of digital business..."
The race to drive competitive advantage and improved efficiency through better use of information assets is leading to a sharp rise in the number of chief data officers (CDOs). As a result, Gartner predicts that 90 percent of large companies will have a CDO role by the end of 2019. But closer to home, such a change is already underway with New Zealand cloud accounting firm Xero appointing Tony Stewart to the newly established role of CDO in December, as the company continues to stay ahead of market trends. 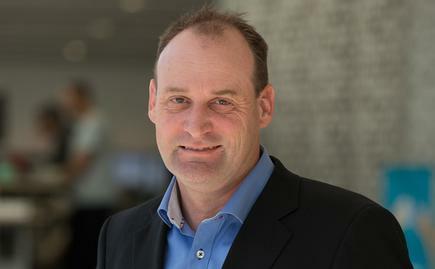 Based in Wellington, Stewart - who is three months into the role - is responsible for accelerating automation, business systems rollout and big data innovation. “His knowledge of building technology growth companies, combined with his deep expertise in business process automation, data analysis and analytics will bring significant benefit to our automation projects and our strategic data assets,” said Rod Drury, CEO, Xero, at the time of the announcement. Following Stewart’s appointment, Gartner findings claim that as many as 1,000 other CDOs will take up office by the end of 2015, up 400 from 2014. “Business leaders are starting to grasp the huge potential of digital business, and demanding a better return on their organisations' information assets and use of analytics,” says Mario Faria, Research VP, Gartner. Looking ahead, Faria believes CDOs will face a number of challenges, to the extent that only 50 percent will be successful by the end of 2019. One challenge is that the role will be new in most organisations and most new CDOs will be learning on the job. Consequently, they will have the difficult task of creating an information strategy with relevant metrics that tie the activities of their team to measurable business outcomes. Read more ​INSIGHT: Is Oracle’s cloud proposition timed to perfection? “With the explosion of datasets everywhere, an important task is determining which information can add business value, drive efficiency or improve risk management,” Faria adds. The confluence of high expectations and limited knowledge around information management by business users can make it difficult for CDOs to get the budget and commitment from the business they need to make their plans a success. “This raises a political aspect to the role - building trust and relationships in the organisation will be important to achieving success,” Faria adds. In truth, many CDOs already report high levels of change resistance, particularly from the IT department, over the control of information assets and their governance. “Successful CDOs, however, are doing a great job of working with the CIO to lead change and overcome resistance,” Faria adds. “It's important to account for the soft skills needed in the CDO role, whether you are applying or hiring for the position,” Faria adds.